Apple's new "CarPlay" system, which allows drivers to use iPhones behind the wheel, is raising concerns among auto safety experts. Apple is making it easier than ever to use your iPhone in the car. Some auto safety experts think that's not such a good idea. The tech giant's new "CarPlay" system allows drivers to make hands-free calls, dictate text messages, and access a number of other iPhone functions; in other words, a lot of potential distractions. "We're very, very concerned about it," said David Teater, senior director at the nonprofit National Safety Council. 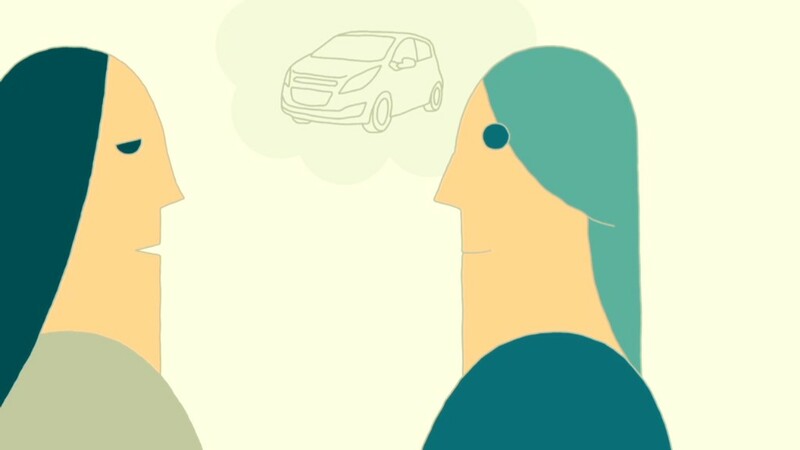 "The auto industry and the consumer electronics industry are really in an arms race to see how we can enable drivers to do stuff other than driving." Apple (AAPL) unveiled the system at the Geneva Auto Show this week, and the first CarPlay-equipped vehicles will debut later this year from Volvo, Ferrari and Mercedes-Benz. A number of other major automakers, including GM (GM), Ford (F), Toyota (TM) and Honda (HMC), will begin offering CarPlay "down the road," Apple said. Automakers have been offering smartphone integration systems specific to certain makes and models in recent years, but Apple's announcement represents a step towards standardizing the technology across the industry and increasing the range of applications available to drivers. The news follows an announcement from Google (GOOG) in January that it is partnering with Audi, GM, Honda and Hyundai to bring its Android operating system to cars starting this year. Google says its platform will "make technology in the car safer and more intuitive." Apple, similarly, says CarPlay increases safety by allowing drivers to keep their eyes on the road while accessing their phones via Siri, the company's voice assistant software. 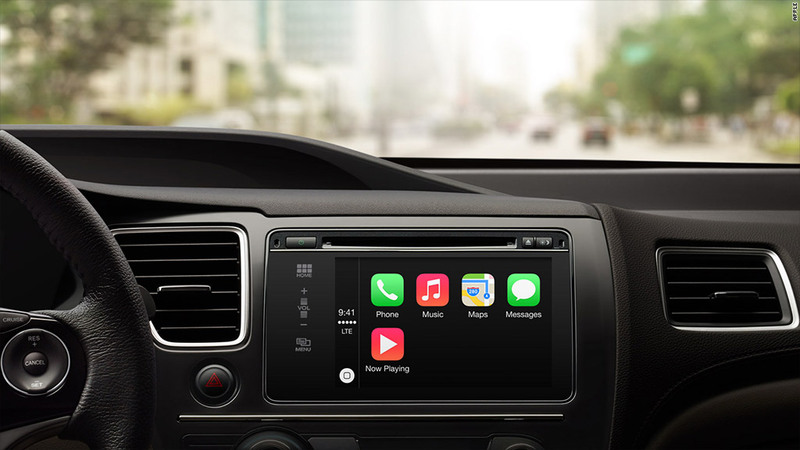 "IPhone users always want their content at their fingertips and CarPlay lets drivers use their iPhone in the car with minimized distraction," Greg Joswiak, Apple's vice president of iPhone and iOS product marketing, said in a statement. But some evidence suggests that talking in hands-free mode while driving is just as unsafe as driving while holding a phone. The problem is so-called "cognitive distraction," which occurs when drivers have their eyes on the road but their minds focused elsewhere. In a study released last year by the Texas A&M Transportation Institute, the reaction times of drivers doubled whether they were texting manually or dictating their messages through voice-to-text applications like Apple's Siri or Vlingo for Android. Researchers at the University of Utah reported last year that talking on a hand-held phone is only slightly more distracting than talking on a hands-free phone, with both deemed a "moderate" risk. Voice-to-text applications like Siri were even more distracting, deemed an "extensive" risk. "The idea that people want to be on their phones, and therefore let's give them a way to do that -- that's not putting safety first, that's putting convenience and the desire to be in touch first," said Bruce Hamilton, manager of research and communications at the AAA Foundation for Traffic Safety. Apple and Google declined to comment beyond their initial product announcements. Cell-phone use is a leading contributor to "distracted driving" accidents, which killed 3,328 people and injured 421,000 in 2012, according to government statistics. While a handful of states ban the use of cell phones while driving, there are no restrictions on hands-free use. Interestingly, although drivers using smartphones are substantially more likely to crash, overall accident rates have actually dropped in the past decade as these devices have saturated the market. That's according to data from the Insurance Institute for Highway Safety, a research group funded by auto insurers. "Ten years ago, the institute predicted that we would see a spike in crashes as phones and other electronic devices proliferated, but it didn't happen," said Russ Rader, a spokesman for the IIHS. "That doesn't mean they're not distracting, but if you think about distraction in all its different forms, cell phone use is just one part of it." The institute has found that state laws banning cell phone use while driving have no effect on crash totals. So how do we prevent the distractions of technology from generating more crashes? Rader says the answer may be more technology. Automakers have begun introducing sophisticated crash-avoidance systems in recent years, like forward collision warnings and automatic braking, that appear to be reducing accidents. "We think that the widespread adoption of crash-avoidance systems is likely to be the most viable solution to addressing the big distracted-driving problem," Rader said. "We've never had a way to address it before, and now we do."